I recently started using a program called Evernote to jot down little thoughts and inspirations throughout my hectic day with a toddler. As a person who has often resisted technology, part from liking the smell of books and the feel of pen and paper, and part from my ability to make any technology go haywire, I have fallen in love with this app. A couple months ago, I downloaded it to my phone, laptop, and desktop computer, everything since it will sync across devices. I'm a mom, so having something on my phone that I can jot down my ideas and scenes into real quick has helped me not lose as many of my brilliant, few though they sometimes are, thoughts. And, this is the best part, I don’t have to spend precious writing time later typing up a bunch of handwritten notes or retyping the info from my phone to my writing software of choice. I just sync from my phone to my computer and . . . I have all my snippets of dialogue, character development, etc. right there. From there it’s super easy to copy and paste my notes over to Scrivener and flesh them out as needed. Now that I’ve wowed you with my technical jargon, let me show you a bit what I mean. You can organize your Evernote into Notebooks, like such. Remember to title your notes to make searching for them, or just remembering why you wrote the note, easy to access later. Save and you’re done. It’s really that simple. Of course, it has all sorts of other fun features that I’m starting to learn. One thing worth mentioning is the toolbar that pops up when you hit new note. It gives you various options of how you want to capture your note. I use the text version the most, but also love the audio feature for when I’m out walking with my son or driving, and can’t stop everything to write things down. Another handy feature is the ability to take a picture of something and jot myself a quick note on why I took the picture. 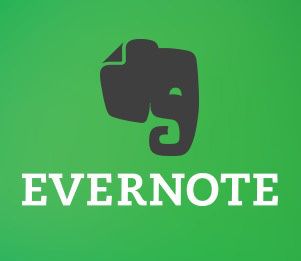 Oh, one thing that should be remembered, you have to remember to sync your Evernote with your other devices. You can set up something that automatically does this, or just at the end of your day remember to hit the sync button on your phone/tablet. I’m sure people who are much more tech-savvy than I can figure out even cooler ways to use this helpful app, but even in the simple ways I use it, it has saved me hours of frustration over ideas I can’t remember when I finally get a chance to write and searching for that note about that thing that I wrote in one of my many notebooks scattered about the house and car. Lest I be accused of becoming truly converted to electronics, I often still put notes in my notebooks, but like to, when I get a spare moment, take the time to quickly transfer them over to Evernote for easy access when I need them. Well, that's my experience with Evernote in a nutshell. Hope it helps. Enjoy a fabulous writing day!